WHO (World Health Organization). 2012. 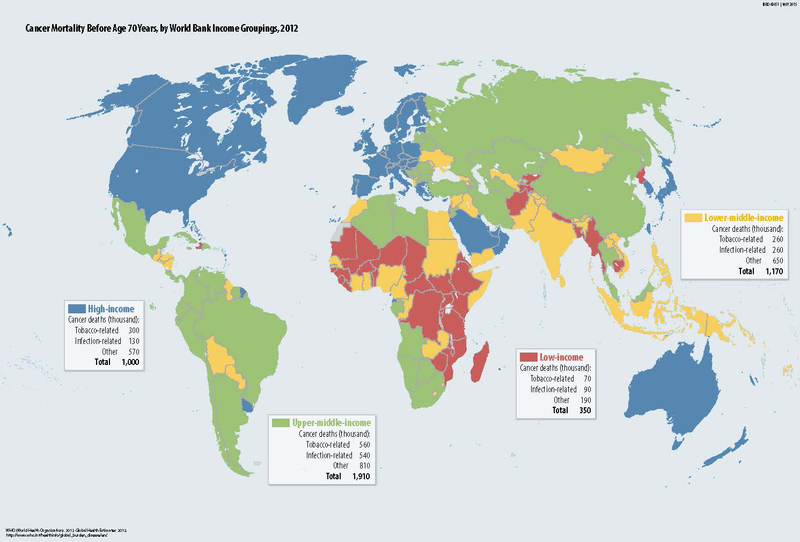 Global Health Estimates 2012. http://www.who.int/healthinfo/global_burden_disease/en/. Volume citation: Gelband, H., P. Jha, R. Sankaranarayanan, and S. Horton, eds. 2015. Disease Control Priorities, third edition. Volume 3, Cancer. Washington, DC: World Bank.